This traditional Devon village Inn is situated in the heart of Sampford Peverell near Tiverton backing on to the Grand Western Canal. 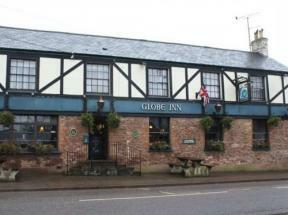 We offer great food local cask conditioned ales fine wines and comfortable accommodation. Muddifords Court Country House is located in the Culm Valley 1.5 miles from the village of Halberton. This charming Georgian property offers 14 acres of grounds and stylish rooms.